PLUG-AND-PLAY: The scanner was paired with the included cradle by factory default. If not, place on the scanner on the cradle and press the pair button. LONG TRANSFER RANGE: Using 433MHz Wireless Transmission Technology. Delivers up to 400m/1312ft in open area, up to 100m/ 328ft indoor. 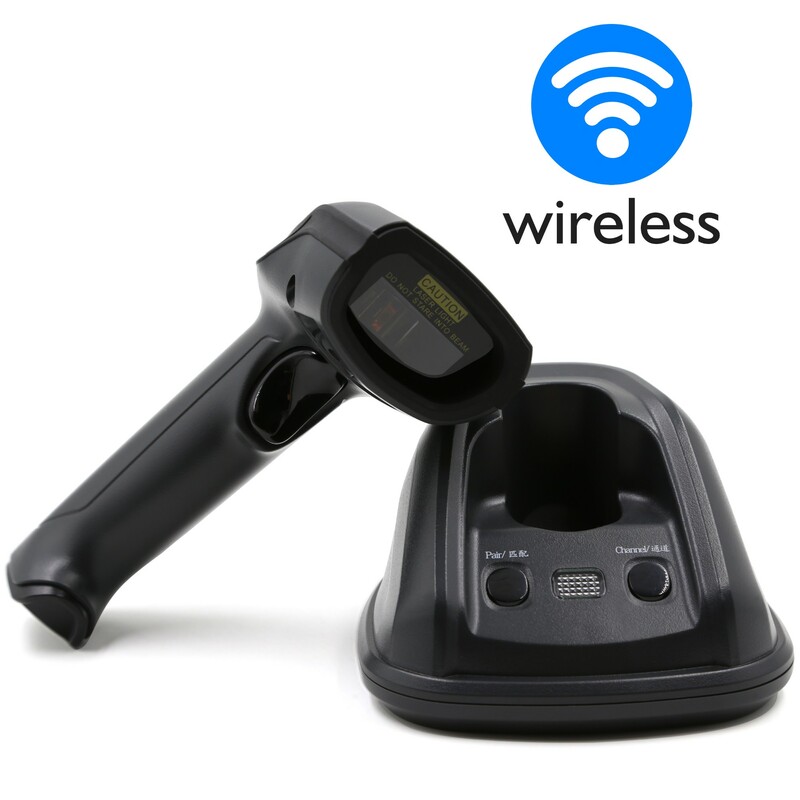 EASILY CHECK STATE OF CHARGE: scan one barcode to know the remaining battery of the scanner. This will help you to plan your work easily without worrying it suddenly powers off in scans. 100 SCANNERS can connect with one cradle at the same time, you can set ID for each scanner. THREE DATA UPLOAD MODE: No storing mode / Auto storing mode / Inventory mode. Under inventory mode, the scanner can save up to 60,000 UPC Barcodes data in its memory and upload to your PC at your convenience. The scanner works under auto storing mode by default( the data will be stored in the memory in case of upload failure to cradle and uploaded automatically when you come back in range).